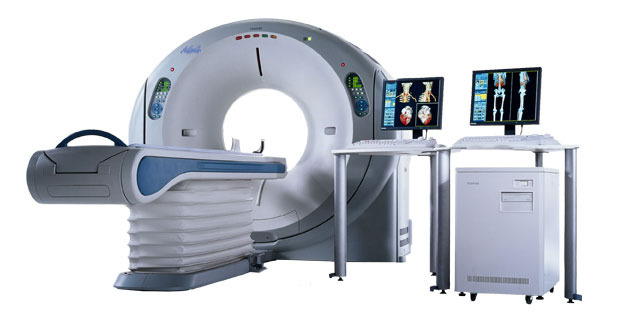 The refurbished Toshiba Aquilion 64 CT machine is considered the only true volumetric 64-slice CT scanner with 64 detector channels, 3-D cone beam algorithms and volume reconstruction on the market. The used Aquilion 64 is an excellent whole body machine, but is particularly effective in cardiac studies. Its SURECardio and SUREWorkflow packages monitor the patient's heart rate and automatically set the optimal scanning conditions, which improves efficiency and takes guesswork out of the cardiac scan.